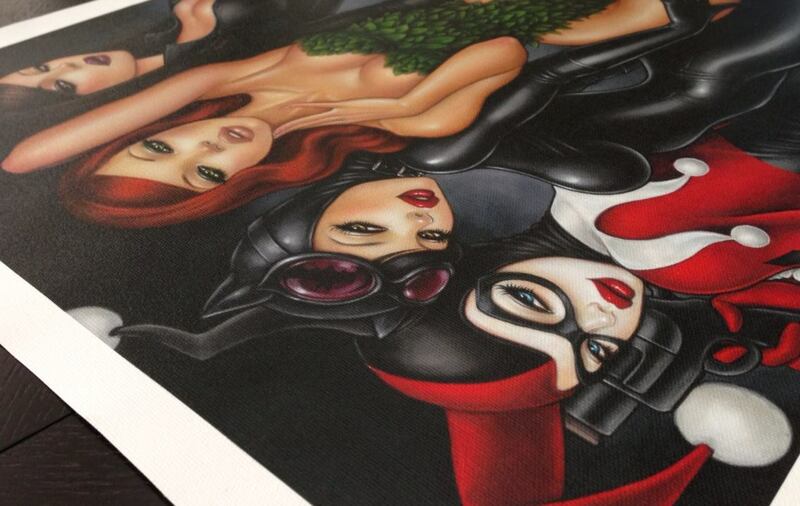 Mimi Yoon has a new print available titled, “Bad Girls”. Sensual, wicked, and beautiful all in one! It is a Giclee print available in paper or canvas formats and is officially licensed by DC Comics. See below for details. “Bad Girls” by Mimi Yoon. Prints are available at the Hive Gallery during the run of “Comic Book Villains Show”, 7/6 – 7/27. This entry was posted in Art Prints and tagged Bad Girls, Mimi Yoon by admin. Bookmark the permalink.